[GILL, ERIC, DAVID JONES, ET AL.]. Cantica Natalia. 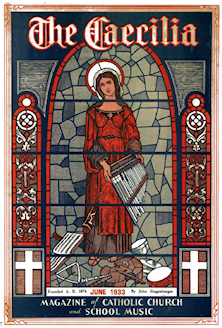 Viginti hymni in honorem Nativitatis Domini nostri Jesu Christi. 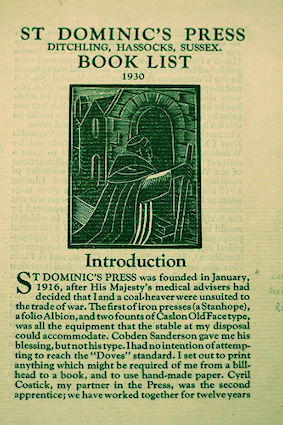 Ditchling, Sussex Saint Dominic's Press 1926 Folio. 52 pp. One of 95 copies. With ten original woodengravings by Eric Gill, David Jones, Philip Hagreen, and Desmond Chute, all but two of which are hand-colored. 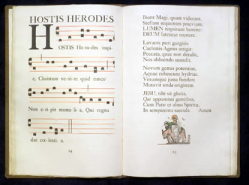 A large-format book of early Christmas carols, some in Latin and some in English, with the music printed medieval-style against red rules. Printed on a grand scale after the antiphonals and graduals of the Renaissance, this was the largest book produced by the Press. A fine copy of a rare book in the original binding of brown sailcloth. 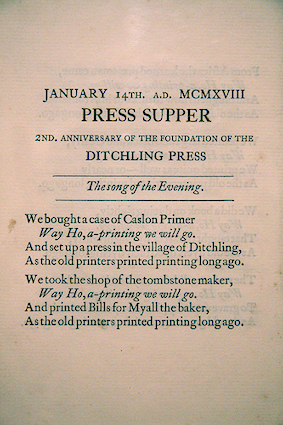 The Stanhope Press was bequeathed to the Museum by Justin Howes and returned to Ditchling in 2006. It was first set up in 1916 in a stable behind ‘Sopers’, Eric Gill’s house in the High Street, with one of the first jobs undertaken being the production of beer labels for the Sandrock public house next door. The Press was soon afterwards installed in the Guild workshops on Ditchling Common where it served for 21 years printing books, pamphlets, posters, magazines, billheads and notepaper. Ditchling Museum has a substantial collection of works printed on the Press including copies of The Game the magazine produced by the Guild for its own members with engravings by David Jones and others. The Press is now set up as a working press and is used for workshops and demonstrations. The Flickr Group Photo pool from the Clearleft Printing Day at Ditchling Museum includes images of wood & metal type, the Stanhope Press, additional hymn photos, and the Ditchling Museum. Above Left: 2 wood engravings by Desmond Chute, The Crucifixion, c.1922 and Purgatory, 1919 from Pertinent and Impertinent, St Dominic’s Press 1926 via Wolseley Fine Arts Prints 2006. 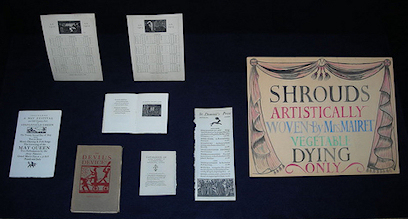 Eric Gill Collection, Hesburgh Libraries, U. of Notre Dame. Pilate. A Passion Play St. Dominic's Press, 1928. Engravings by David Jones. Left: advertisement for Cantica Natalia and the Common Carol Book, The Caecelia, June 1933. 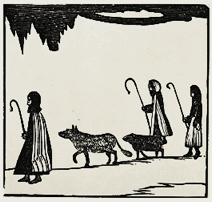 Above and far left: woodblock engravings from the Common Carol Book by Eric Gill. 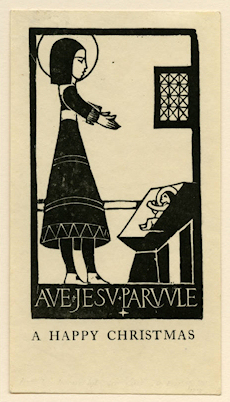 has over 400 images online from The Albert Sperisen Collection of Eric Gill.